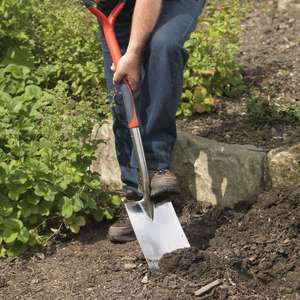 The Spear & Jackson Select Stainless Steel Digging Spade has a mirror polished stainless steel head for rust resistance and minimal soil adhesion. The polypropylene shaft has an integral ergonomic forward tilting handle for ease of use. Got one of these for £10.50 a while back, pretty good spade IMO. Do they have it in gold ?